Wonder Woman finally made her cinematic debut last March in Batman v Superman: Dawn of Justice, and while she didn’t get as much screen time as the eponymous heroes, she made quite an impression on moviegoers. Next year, Diana of Themyscira will lead her own movie, which is being helmed by Monster’s Patty Jenkins. The movie already has a lot of buzz for being Wonder Woman’s first theatrical appearance (excluding that LEGO Movie cameo), but the movie has already made history for being the only female-directed live action movie to have a $100 million budget. It’s the first movie that a woman has directed — a live-action movie — with a $100 million budget. First. While Wonder Woman isn’t the first female-led superhero movie (predecessors include Supergirl and Elektra), it is by far the most high-profile one currently. In a genre filled with male heroes leading the charge, there have been many calls for superheroines to star in their own adventures, and while the balance is nowhere near equal yet, Wonder Woman, along with this financial triumph, certainly helps things. As far as the movie itself goes, that budget has surely been put to good use creating practical and visual effects. Regarding the latter, fans can likely expect Diana to battle a lot of monstrous and mythical threats in her cinematic solo adventure. It’s also worth noting that the last superhero movie directed by a woman was 2008’s Punisher: War Zone, with Lexi Alexander at the helm (who also recently directed an episode of Supergirl and Arrow, respectively). So far Wonder Woman is the only solo superheroine movie Warner Bros has currently greenlit, though there is a movie featuring Harley Quinn and other lady heroes and villains in development. Marvel Studios has Captain Marvel coming in 2019, but a director for that movie hasn’t been announced yet. Taking place 100 years before Batman v Superman: Dawn of Justice, Wonder Woman will follow Gal Gadot’s Diana as she ventures into the outside world for the first time during World War I. As she traverses war-torn Europe, she’ll meet Steve Trevor (played by Chris Pine) and other regular folks, but we’ll also meet her fellow Amazons on Themyscira, like her mother Queen Hippolyta (played by Connie Nielsen) and her aunt Antiope (played by Robin Wright). 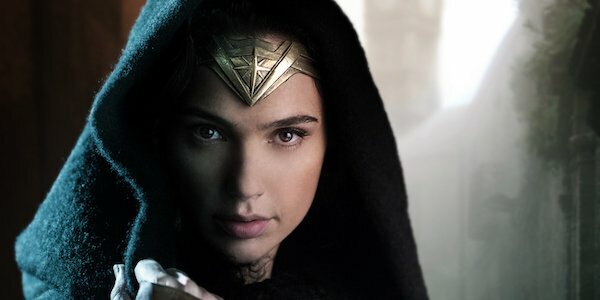 Wonder Woman’s villain still hasn’t been confirmed (it’s rumored to be Ares, the god of war), but whatever happens in the movie, it will result in Diana giving up on mankind for the next century.